Over the last several hours, the price of Bitcoin (BTC) has recovered slightly, rising from its recent low of $5197.47 per coin. The new low was realized earlier today, November 15th, 2018, as the coin lost $1k in value in a 24 hour period of time. As it stands right now, BTC is down $865 over the past week, a loss of 13.47 percent. That’s a snapshot of the one year chart, which shows the price of Bitcoin down 29.24 percent. While the charts don’t look too promising, buried in that one year chart is still the monumental rise to nearly $20k per coin last December. It can make one think that cryptos are getting ready to spike soon, but that’s not what the forecast says. It’s important to look at many market metrics, and in this case, you might want to pay close attention to what the stock market is doing in connection with the crypto market. It’s not December just yet, but the Christmas Season is upon us. Notably, what’s called the January Effect is usually a tradition with the stock market. What’s the January Effect? Leading up to the Christmas Season, the stock market usually tumbles a little because people are focused on the holidays and are buying gifts. There’s a little extra money in the market that gets pulled, likely because it shouldn’t have been in the market to begin with. People must first make ends meet. Group the recent market decline with the crypto market decline, and it seems right in line with what’s usually happening. Yet there is nothing ordinary about the newer crypto market, and BTC has been on a slide for quite some time. The other digital currencies typically play follow the leader. There are other telling findings when you take a look at the one year chart for BTC, too. First, after it’s meteoric rise to nearly $20k per coin, it didn’t take long for Bitcoin to lose about two-thirds of its value. Over the past year, the price of BTC has attempted to recover four times. Each time, the coin has failed to make it as far as each previous attempt and has fallen back to what seemed to be the floor, around $6k per Bitcoin. Instead of attempting to recover once again, BTC has lost $1k in value in one single day. There are also analysts that are predicting the fall of cryptos. While there are other digital currencies that are doing well enough at the moment, the Ethereum, Ripple, Bitcoin Cash and others are following suit with BTC at this moment. A couple of months ago, DOGE generated quite the buzz, tripling in value and spurring the cryptocurrency community to notice at the time that BTC and other cryptos were also seeming to recover. DOGE has dropped back to previous levels, and the rest of the crypto market has deflated as well. If Bitcoin were to have stayed above $6000 per BTC, no one would have blinked going into the Christmas Season. Yet the rather ground shaking loss in a 24 hour period to under $5500 a coin has sent the crypto community into a frenzy. Currently, the price drop can still be written off as what looks to be a Christmas Season drop. And much of the crypto community will generate buzz surrounding the fact that the January Effect might be in play after the first of the year. Even the bulls are going to be doubters on this one, however, whether they admit it or not. BTC hasn’t exactly held its own over the last year, and after the recent drop, people are really paying attention to the one year chart. Whether or not BTC survives over the long term remains to be seen, but its current price and near term future are a separate story altogether. 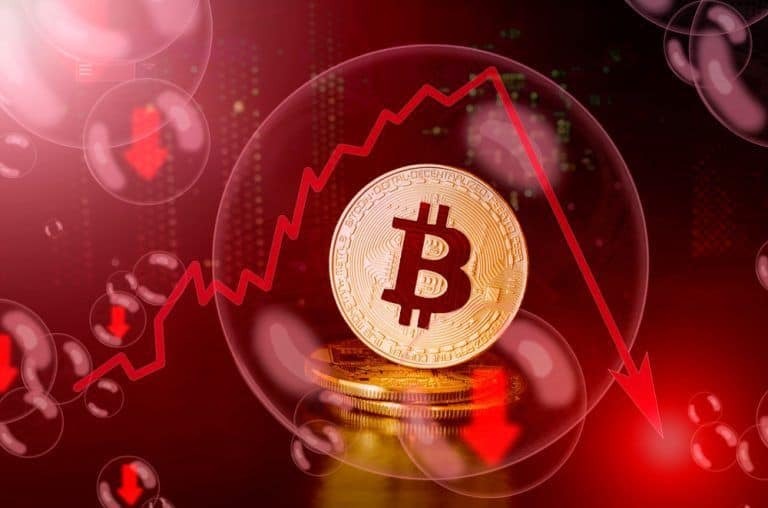 Many investors feel that the price of BTC is still inflated, regardless of its future applications over the long-term. From an investment standpoint, BTC could still stand to lose another $3k per coin and still be priced above one share of Amazon stock. Of course BTC is a digital currency and not a stock, but the point still stands. Argue stock market logic to a new age crypto investor, and you’re going to get booed off the stage. They don’t like to hear that nonsense, but it’s not nonsense. The fact of the matter is all markets are intertwined, whether digital currencies are deregulated or not. Regardless, with BTC seeing a new low after losing its value significantly over the past year and failing to recover, investors are a little skeptical. It was just last Christmas that BTC continued soaring and rose to nearly $20k. This year, the story is a little different, at least so far. Will BTC recover in January, or will the price per coin continue to spiral downward?